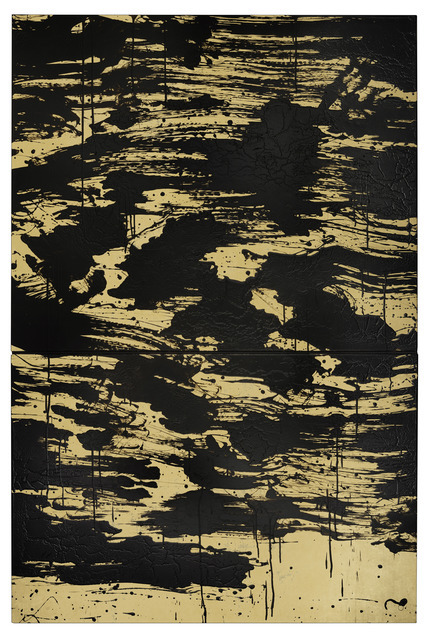 Waddington Custot is proud to present Fabienne Verdier’s first solo exhibition in London. 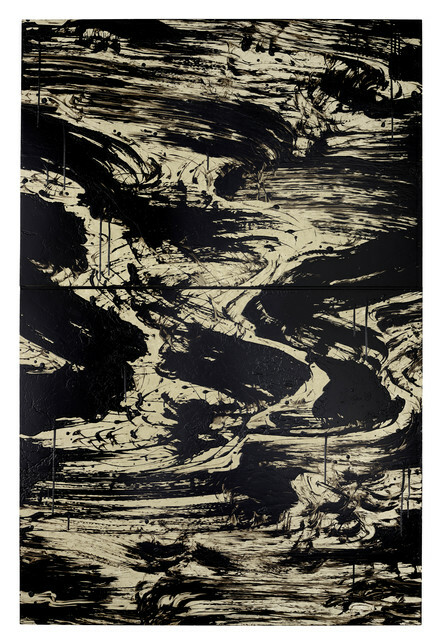 The exhibition will feature large-scale abstract paintings produced over the last year. 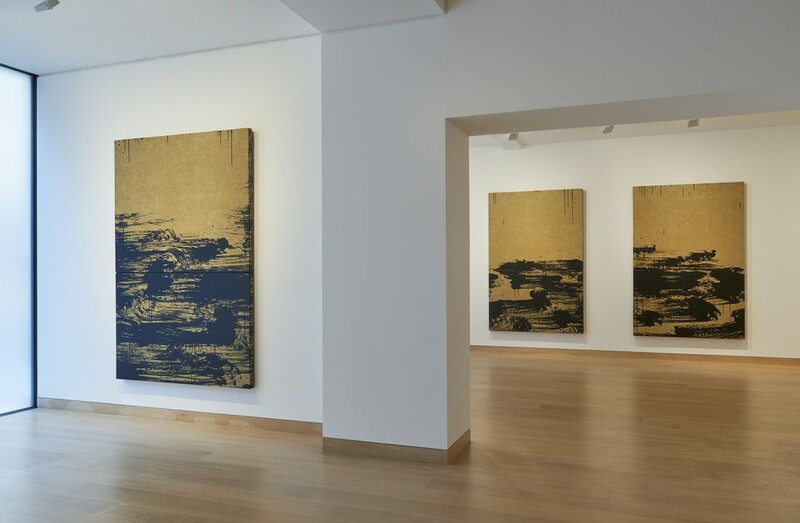 Verdier’s physical and performative creative practice has undergone an evolution in recent years that can be seen most vividly in the Rhythms and Reflections series. 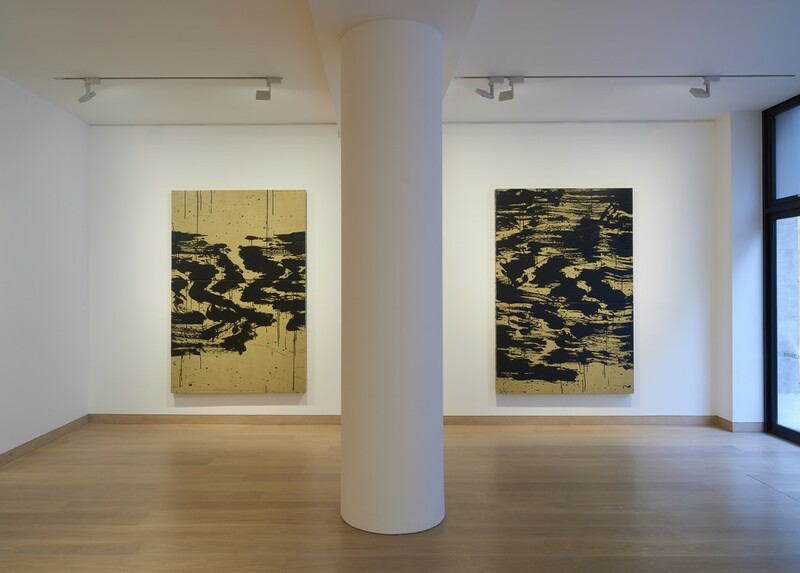 These paintings were made following Verdier's return to France from a period of intense experimentation spent as the first visual artist-in-residence at The Juilliard School in New York in 2014. 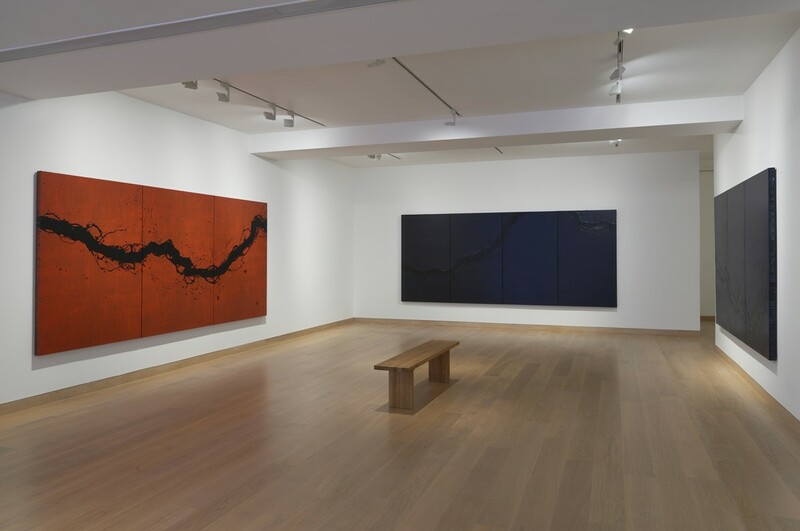 The creation of both music and painting simultaneously, awakened in Verdier a profound awareness of vibration and the rhythm of melodic phrases. 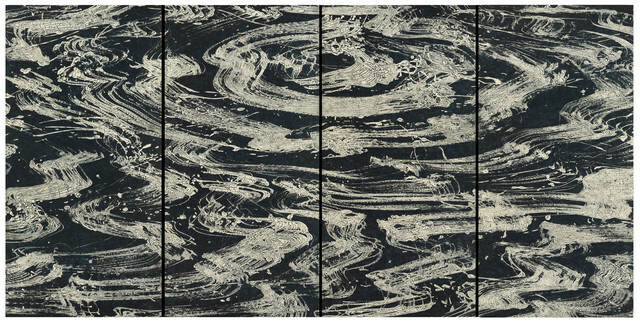 In the Rhythms and Reflections works, Verdier balances her on-going exploration of gesture with a consideration of the pictorial surface as a whole and consequently the creation of a sense of space and depth. If this new series offers Reflections, the Walking Paintings are composed as a ‘lightning strike’. 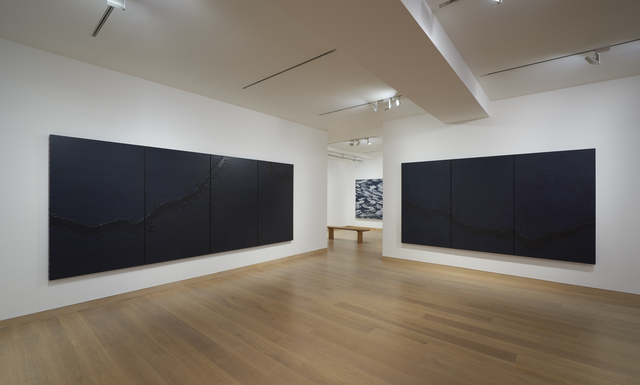 The series is a result of a performative act: a funnel of paint, suspended from the ceiling, pulled across the canvas in a swift horizontal movement. Begun in 2012, the series has gone through several stages of development and is the continuation of the artist’s exploration of the idea of the ‘trait’ (a line drawn, in French). As the paint falls, the raw energy of the artist walking on the painting is translated onto the canvas, making nature’s intangible forces tangible. 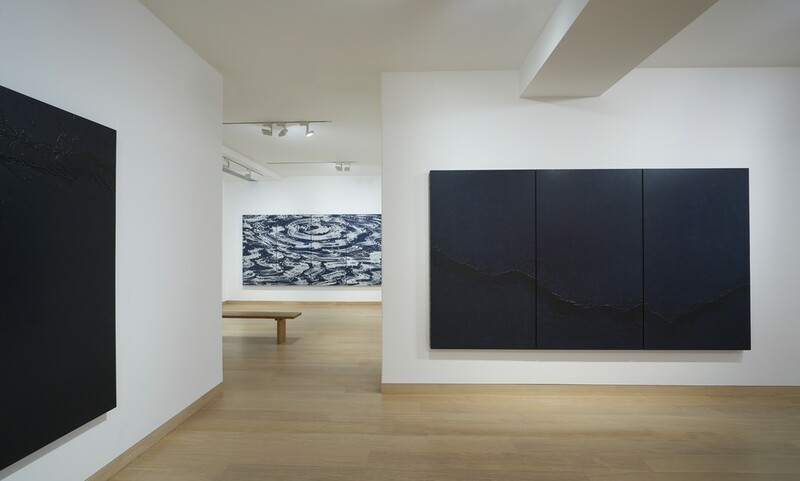 Verdier’s paintings feature in several private and public collections including the Centre Pompidou, Cernuschi Museum, Pinakotek der Moderne and Foundations Hubert Looser, François Pinault and Palazzo Torlonia. Recent projects include conceptual collaboration with architect Jean Nouvel for the National Art Museum of China in Beijing and exhibitions and installations in Singapore, Hong Kong, Paris, Vienna, Rome, Lausanne, Zurich and Brussels, among other cities.